Hours:: Front is viewable from a distance at any time, well lit at night. Back is viewable up close at any time. 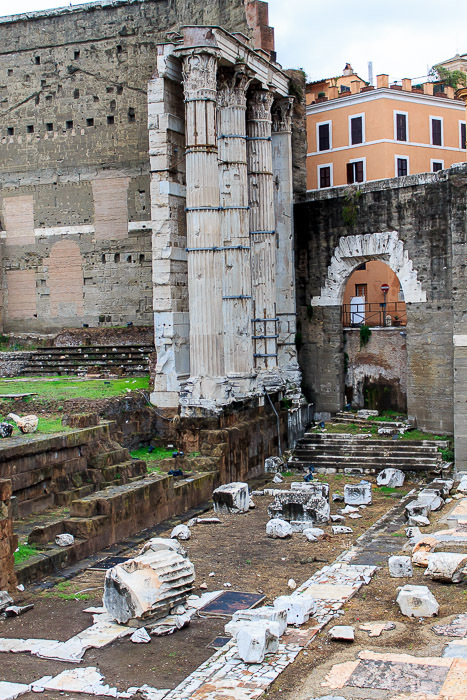 During the Middle Ages, the Forum of Augustus, being relatively low land surrounded by hills, became a swamp. 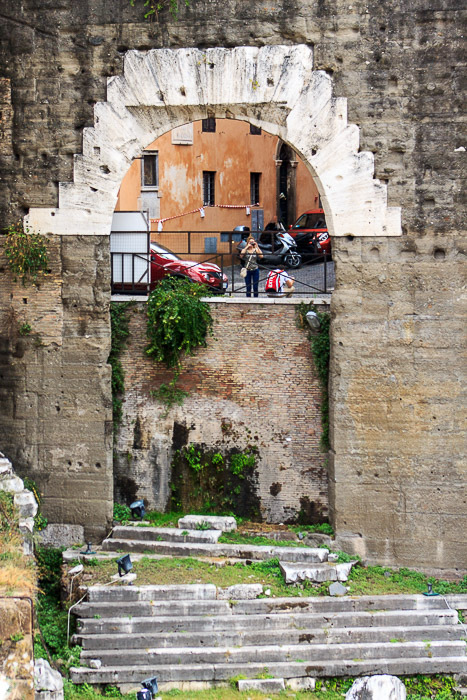 The archway dedicated to Germanicus came to be known as Arco dei Pantani, the Arch of the Swamps, visible just to the right of the Temple of Mars Ultor in the 1st and 2nd photos below. The arch used to be open for the public to walk through. The 3rd photo below is from 1903. 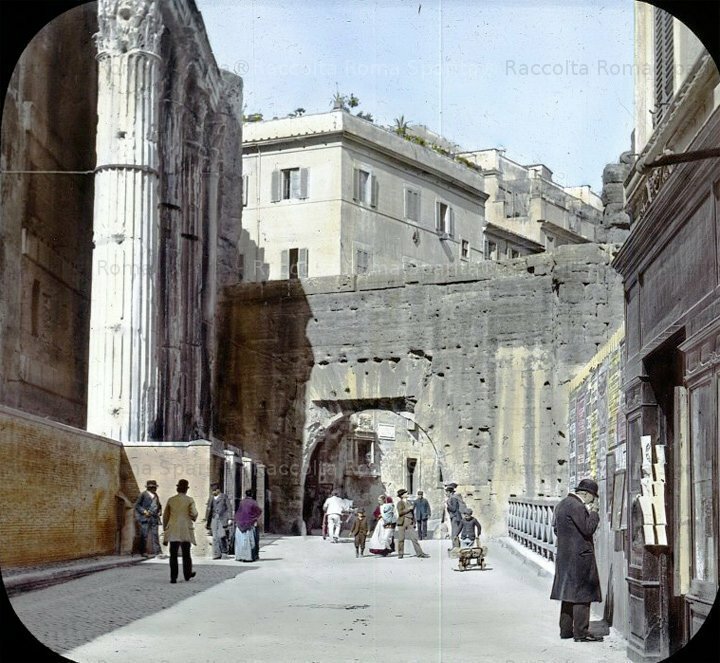 Isn't it interesting that the babes were once allowed much closer to the ruins than they are now, and how much excavation has been done since that picture in 1903? 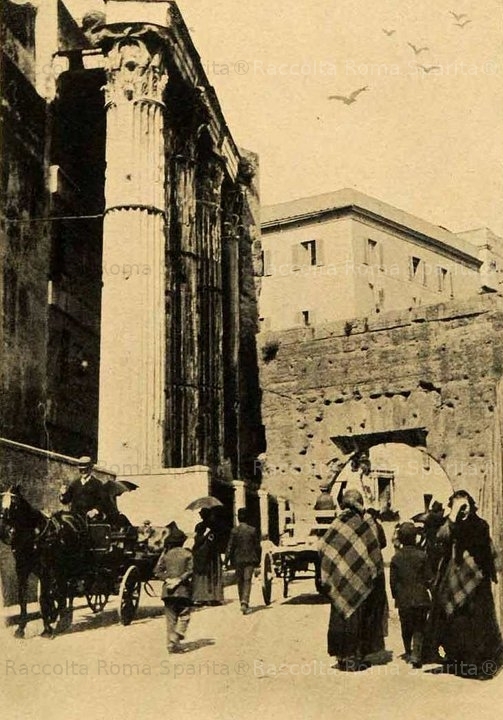 And even moreso, the 4th photo below (year unknown) shows that there were buildings on top of those marble floors in the Forum of Augustus! 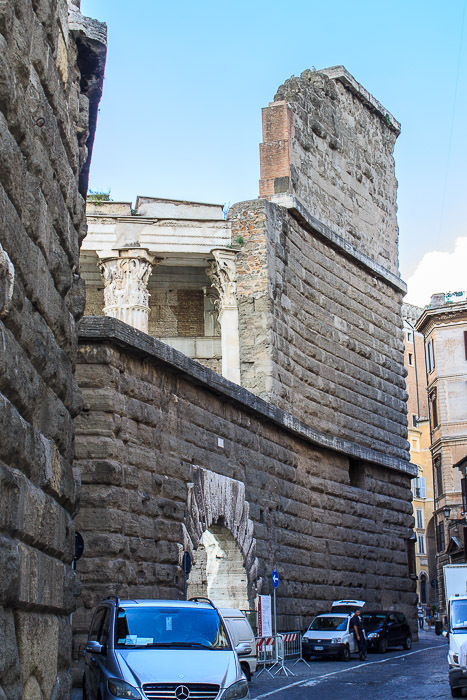 The 5th photo below shows the Arch of the Swamps from behind the back wall of the Forum of Augustus, on Via Tor De Conti. See all Arch of the Swamps photos.